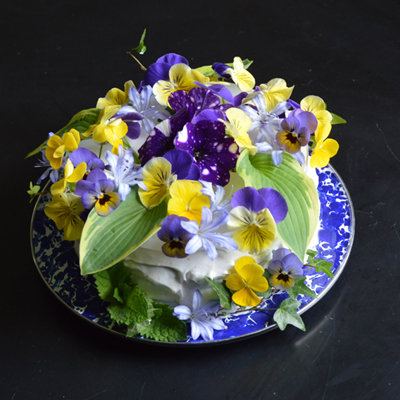 Turn a simple store bought cake into a beautiful custom cake by adding fresh flowers. Just insert Easy Arranger CakeVase into the top of the frosted cake and add just a bit of water. Trim flowers to a very short length and then insert them in the CakeVase. When you are ready to cut the cake, lift the CakeVase off and go for it. Tip: You only want to use enough water to fill the the holes. If you add too much water, use a paper towel or sponge to remove some of the water. 6 inch diameter vase will fit cakes 6" diameter or larger. Plastic vase is Top rack dishwasher safe. Made in the USA. I thought this was a vase shaped like a cake! Sad. Owner Response: We're very sorry you were disappointed in this product. We do feel that the photos and description clearly indicate that this product is used on top of a cake.